Kelly Wheeler (SexTapes, Janes Addiction, Ultraject) has created a new act, Chainflower with singer Erica Renee (A.H.M.A.D.). The band has just released an EP containing two tracks, The Fever and Dissolve in the Sky. The Fever is a gritty and hard-hitting rock track that possesses a complexity that few tracks in this style have. There are nods to the Detroit rock scene, the eighties goth of Sisters of Mercy, and just enough punk music to keep things going at a breakneck speed. While the track could succeed in the grunge rock heyday and the years immediately after, I feel that the time for this music is right. Chainflower is able to one-up acts like The Pretty Reckless ; create rough and tumble rock music that has enough catchiness to merit some serious rotation on mainstream and hard rock radio stations. The production here allows the guitars to sizzle, the intense vocals, and the splashy drums to shine on their own as well as tattoo the track’s melody deep into the hearts of those listening in. Dissolve in the Sky refreshes the alternative rock of Belly, L7, and Green Day and recontextualizes it for the current day. Erika Renee’s vocals here pierce through the guitar fuzz to hit listeners hard. The aural sneer of these lryrics is founded on a tradition that begins with Joan Jett and leads through Gwen Stefani and Bif Naked,. The track occupies a much different space than The Fever, meaning that listeners will be able to hear two distinct sides to Chainflower. 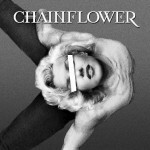 Interested fans can purchase a copy of the Chainflower EP at the act’s Bandcamp. The EP was produced by Doug Grean (Velvet Revolver, Sheryl Crow, and Stone Temple Pilots).